Combating Drought: Do you have enough water stored? With the Office of Disaster Preparedness and Emergency Management’s (ODPEM) forecast of drought to grip the island over the next three months, Director Ronald Jackson has urged Jamaicans to start conserving water. “Typically, every January we are faced with the beginning of a dry spell in our country, which is usually what we call the primary dry period. We are asking the public that even before the Met Office (Meteorological Service) declares a drought that they begin to practise certain mitigation measures and also preparedness measures, well in advance of such a declaration, because we are trying to promote a culture of prevention and readiness,” said Jackson. Increased incidence of drought and lengthy seasons of water scarcity have seen Jamaicans investing in more permanent water storage systems for their homes and businesses. Water systems, from tanks to pumps have gained popularity because of their convenience, affordability as well as capacity range. However, how can consumers determine the best water system to purchase for their homes or businesses? What is included in a water system? Typically a complete water system will include a water storage tank; a pump to transfer the water from the storage unit to the tap and a pressure tank to maintain a consistent flow of water to the tap. How much water do you need to store? When buying a tank, the first things you should determine are how much water you need and your intended use for the stored water i.e. domestic, agricultural. 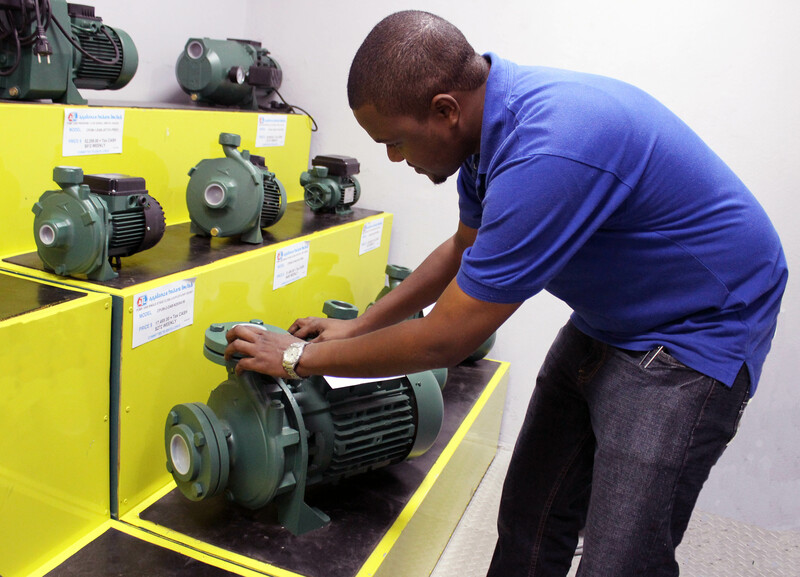 “When purchasing tanks, you must first assess how much water you need to store to cover your needs” said Locksley Waller, Technical Operations Manager at Appliance Traders Limited, Jamaica’s chief retailer of domestic and special order tanks. “The average person uses up to 80-100 gallons of water per day including flushing the toilet, showering, hand-washing and cooking so you have to calculate tank capacity on a per person basis. If for instance there are four people in your household, you would need to store 400 gallons of water per day. If the tank is to be used for agricultural purposes, the same rule applies whereas you would have to determine the volume of water needed for crops, livestock and store accordingly,” he said. What are the different kinds of tanks and where will you store it? “Tanks come in a variety of sizes and materials including plastic (polyethylene, polypropylene), fiberglass, concrete, stone and steel, with the most common domestic option being plastic ” explains Waller. The intended location of the tank (indoors, outdoors, above ground or underground) also play a big part in its colour and construction characteristics. Will I need any additional equipment to get my system going? Will the pump affect my electricity bill? The more frequently your pump starts is the more power it will consume. A larger pump will also generally consume more electricity, “ATL carries the ‘Active Driver’ – an inverter energy saving controller that will allow your pump to run only at the speed necessary to satisfy your flow requirement. This device allows your system to operate at a constant pressure regardless of the flow demand by varying the speed of the pump motor to match the demand. This user friendly interface enhances comfort, runs silently, eliminates over pressurization, extends pump life, allows trouble free installations and is compatible with a large range of pump types” said Waller. If stored properly, water can be saved for approximately 24 months providing the tank remains airtight. By design a water tank/container should do no harm to the water said Waller. Water is susceptible to a number of ambient negative influences, including bacteria, viruses, algae, changes in pH, and accumulation of minerals, accumulated gas. A correctly designed water tank works to address and mitigate these negative effects. Basic Pump (DAB 0 .6 HP) and Tank (400 gallon) are available at ATL starting at $39,000. www.atljamaica.com. Hot water can treat muscular and joint pain associated with arthritis, muscle tears and overuse. The warmth will stimulate circulation and blood flow while loosening joints, tendons, tissues and muscles. While it may not cure the pain for good, 5 minutes under hot water can considerably ease pain, stimulate healing and reduce inflammation. Plus, it’s more convenient than a massage and more natural than medical treatments. Clogged pores can lead to blemishes and a build-up of toxins in the skin. Hot water and steam will open the pores on your skin, making it easier to clean and release impurities. Following with a cold water rinse will close the pores again and make your skin feel refreshed. A hot shower is an effective way to warm-up before a morning workout. When you get out of bed in the morning, muscles can be stiff. It’s important to be completely warm and loose before any exercise, and a hot shower can get the blood flowing, warm the muscles and prime them for exercise. Aside from a massage, a hot shower is the next best thing for a stiff neck or shoulder pain. Letting hot water run over this area for 10 minutes will relax the muscles. Doing some easy neck and shoulder rolls while in the shower will further loosen these muscles. The steam from a hot shower can loosen phlegm and get rid of mucous which could be causing a cough or sore throat. Adding eucalyptus oil to your skin or the air will make the steam more effective and can help you breathe more easily. A hot shower can also relieve other body aches associated with a cold. A hot shower is a natural sedative. 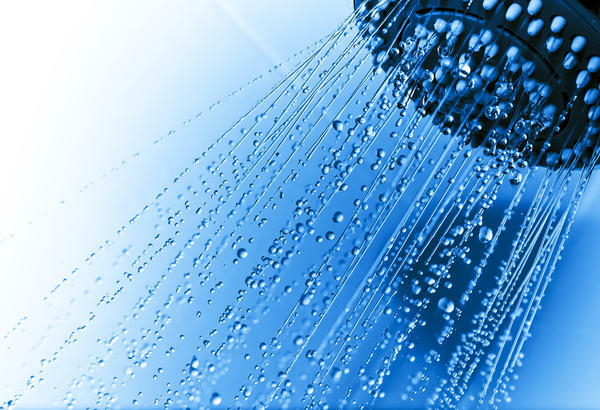 If you are stressed or have trouble sleeping, taking a hot shower for 10 minutes will calm your body, mind and nerves. Adding lavender oil will help too because this is a natural relaxation herb. The 2013 International Consumer Electronics Show (CES) starts tomorrow (January 8 – 11) look out for cool new gadgets & electronics from the top brands we carry such as Samsung, HP, Panasonic & Canon. Post here in comments any products being showcased that you would like to see us add to our product range (even from new brands). We’ll also update you on cool stuff we’ve found at the show too for the week.